We love a good food pun. We love it more when it is the result of some father-son bonding time. 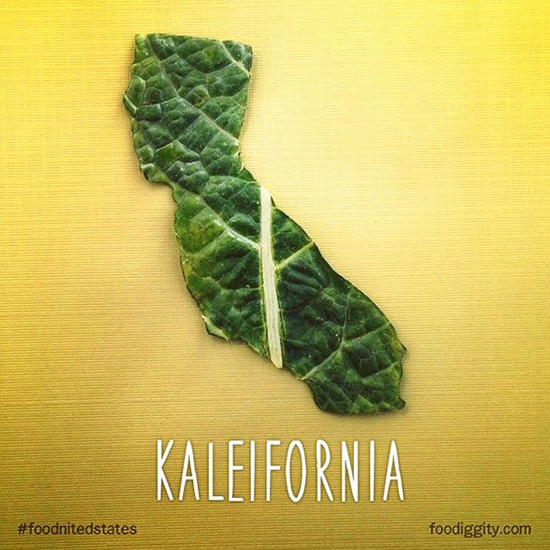 Chris Durso of Foodiggity and his 8-year-old son are on the peculiar mission to create all 50 states out of food. They’re currently half way there with their latest creation, Cransas. The pair have been at it since last year and the food sculpting is pretty impressive. Hopefully they’ll finish the full Foodnited States of America by this summer, but in the meantime here are some of our favorite states from the project so far.